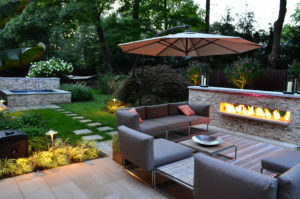 Cipriano has received numerous awards for turning peoples backyards into a luxury outdoor living space. 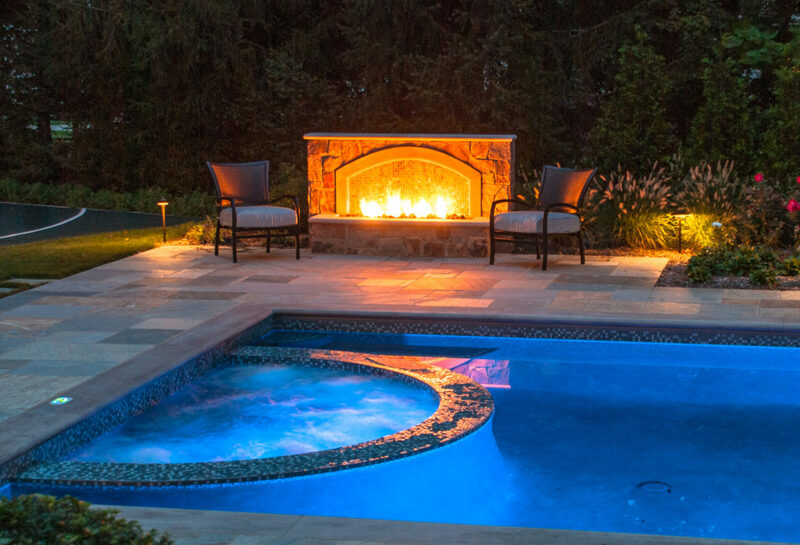 Cipriano Landscape Design and Custom Swimming Pools offers you a diverse range of outdoor luxury living environments from our extensive portfolio, including custom fire pits, fireplaces, outdoor dining rooms and living rooms. 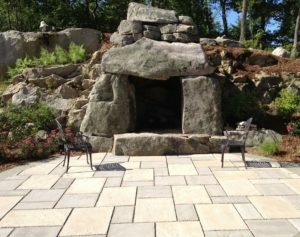 Stonework, completed by our skilled team of Master Stonemasons, reaches extraordinary levels of detail adding to the beauty and comfort of your outdoor living environment. 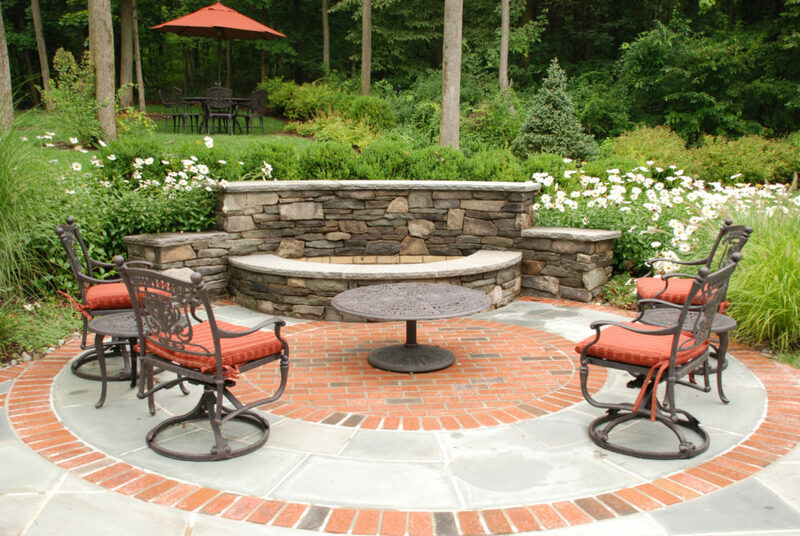 Our landscape architecture services offer you one-of-a-kind hardscapes with detailed outdoor fireplaces and relaxing fire pits. 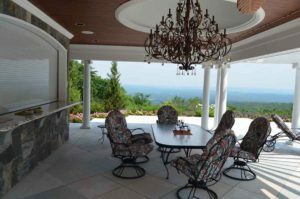 We create designs that will address your lifestyle, aesthetic preferences, and existing property to create remarkable architectural interest with depth, detail, and contrasting materials. 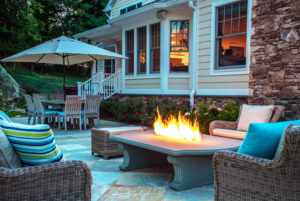 Even without the fire blazing, outdoor living structures pay homage to the architecture of the home in style, materials, and subtle detail. 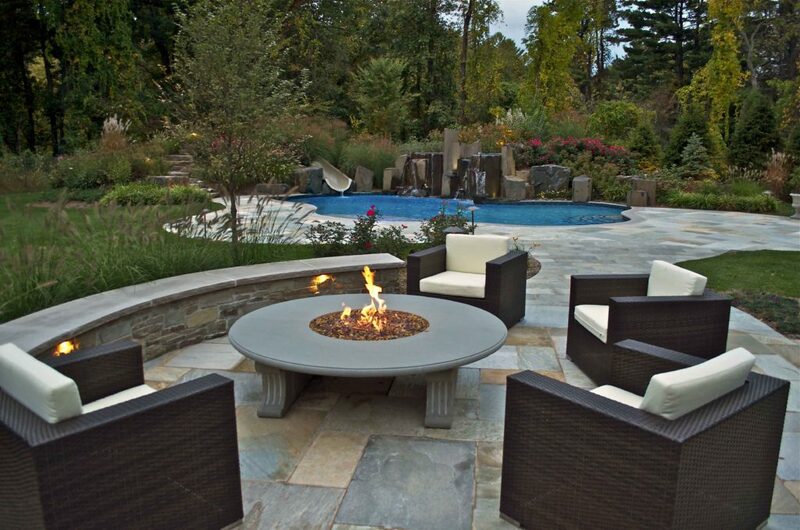 These amenities combined with luxury pools and lush landscapes, create the ultimate backyard destination. 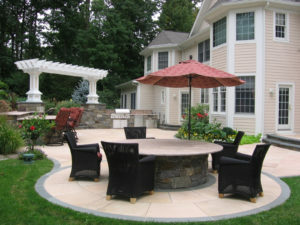 Cipriano has been creating award-winning, outdoor luxury living areas for over 27 years and earned the 2011 Exemplary Achievement Award from the Mason Contractors Association of America. 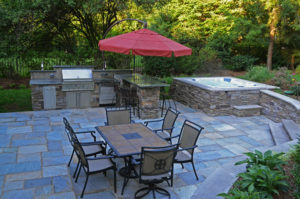 We have designed and installed nearly 125 outdoor kitchens and living structures and have installed over 200,000 square feet of natural stone patios. 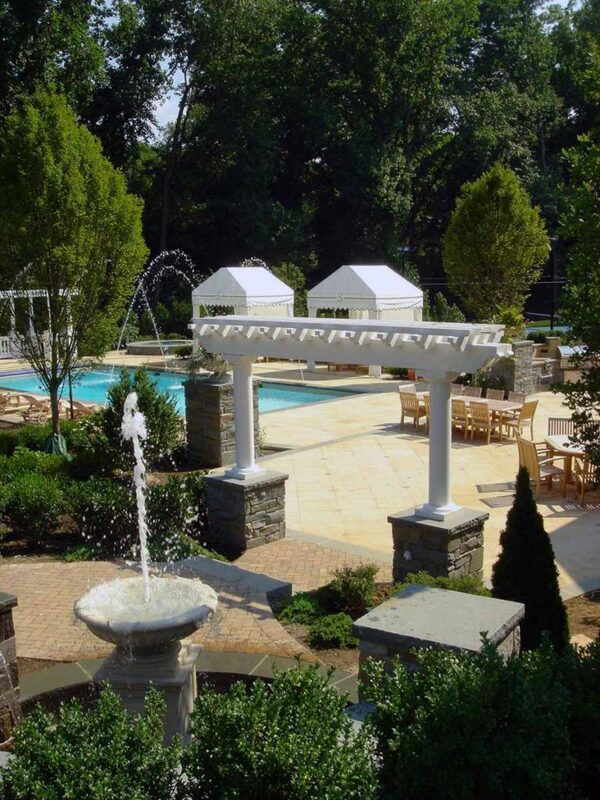 Our NJ landscape architect and master stonemasons showcase tremendous creativity and workmanship throughout our portfolio of fire features, natural stone patios, and luxury outdoor living amenities. 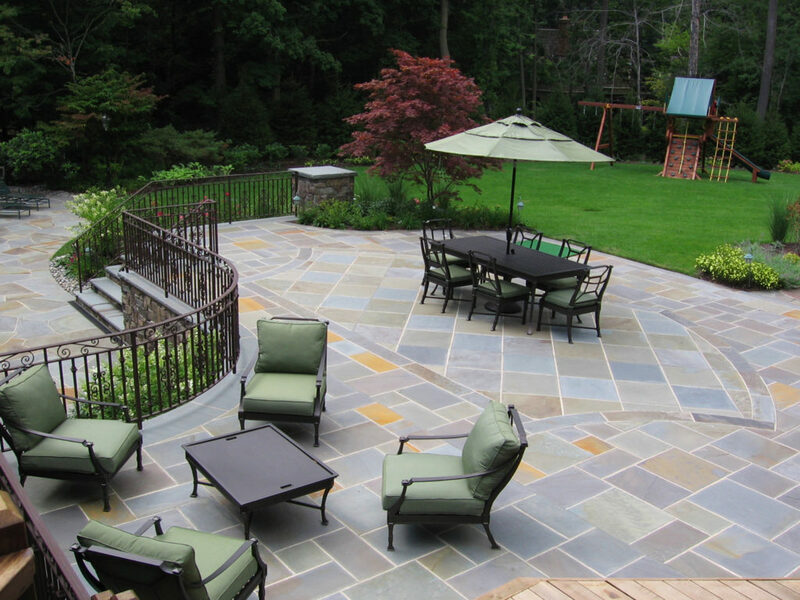 Why hire Cipriano for your outdoor living project?